I harvested the last melons, extracted the seeds so I and others can grow more next year . Now we have a large bowl of juicy melon, which I think we’ll mix with raspberries. Now that was a productive day! rare landrace varieties, which are adapted to specific growing conditions. heirloom varieties that have been saved over many generations. These are unique to the Heritage Seed Library catalogue. varieties that have been dropped from popular seed catalogues over the past decade. This occurs for a number of reasons; their lack of popularity with customers, their unsuitability for commercial scale production or simply the prohibitive cost of trialling and National Listing. 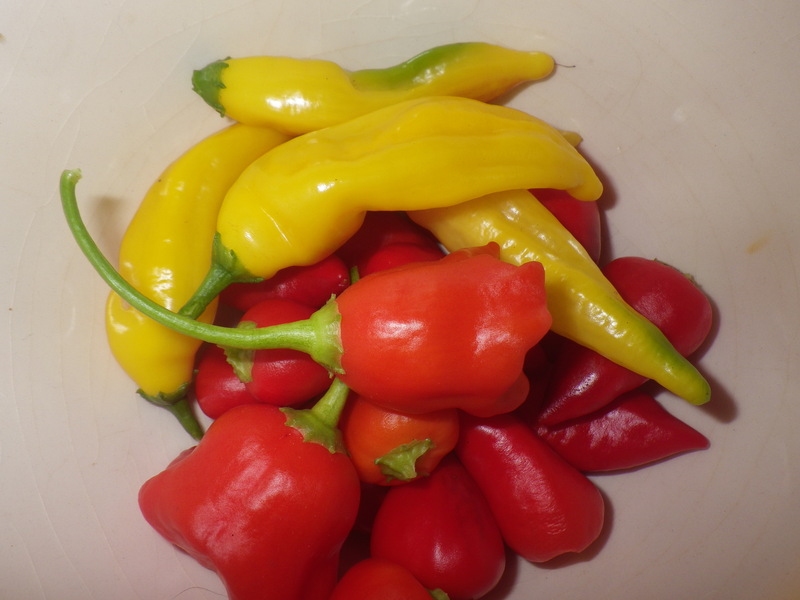 Sheep’s Nose Pepper – once it has ripened up, this is the sweetest pepper I have ever grown. The fruit aren’t huge, but the flesh is thick and, when ripe the taste is excellent. In their green state, I don’t think they are particularly special, although they are fine for cooking; once red, however, they are ideal for using raw and are truly delicious. Some of the fruit are quite dull-skinned and these seem to have the best flavour! Theyer’s Kale – I’ve grown this successfully several times, but this year it seems to be especially exuberant. When I think of kale in my childhood, it was the curly stuff, which required very thorough washing to get all the grit out. This variety is completely different: with large divided leaves, it does not collect debris and is easy to harvest, process and cook. Plus, it’s very hardy and it has attractive purple stems. Green Nutmeg Melon – I first grew these a few years ago, but they didn’t do well in my old greenhouse, so I passed the plants on to a friend. He harvested lovely sweet melons, but was unable to share them with me, so I’ve never tasted them. This year, with the wonderful conditions in the limery, I have three fruits growing well and the possibility of several more. I’ve supported them with mesh so they don’t pull the vine down. Fingers crossed that they will taste as good as reports suggest. As a bonus, the flowers have been lovely too. Blue Coco Climbing French Bean – I usually only grow runner beans, but the lovely purple flowers and dark pods of these beans really appealed to me. Sadly, like all purple beans I have encountered, they turn green when you cook them, but they do look great on the plant and they taste good. I also like the fact that you can let them grow on to produce beans for drying… so it really doesn’t matter if you get a glut as you can just ignore them until the seeds have developed. 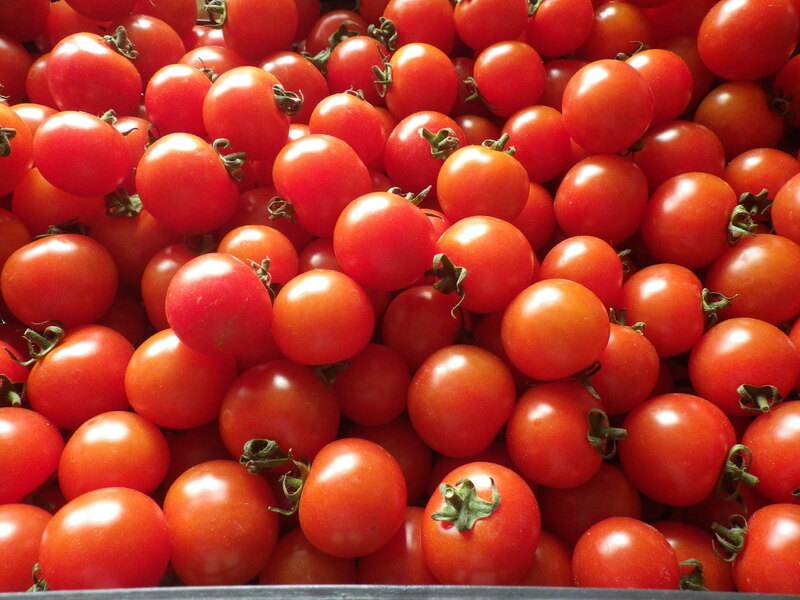 Czar Tomato – a bush variety that produces plum tomatoes highly recommended for cooking. I’ve already turned some of these into passata and they were very good – lots of flesh and hardly any seeds. 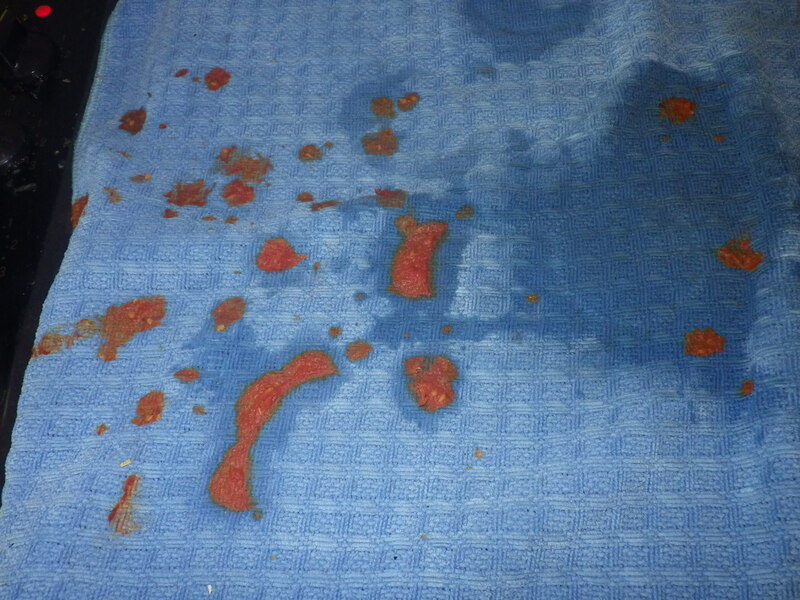 I’ve also used them to make salsa, which worked well, but I find them a bit dry just for eating raw on their own. So, that’s this year’s excursion into HSL varieties. There should have been a Caribbean squash to report on, but sadly a compost disaster earlier in the year meant that none of the seeds germinated… well, maybe I’ll manage some of those in 2017. Heritage seeds are really great for gardeners – often the flavours are better than commercial varieties, or they are specifically suited to local conditions. In addition, by helping to maintain heritage varieties, we are helping to maintain maximum genetic diversity and thus to provide a more secure future for our crops in terms of adaptation to a changing climate and resistance to pests and diseases. So, if you are in the UK, I encourage you to support HSL, and if you are in another country there are almost certainly similar organisations doing an equally great job… if you know of one, please share the information in the comments below. Still, there’s plenty of it! Well, as the song says “the weather outside is frightful” (rain and wind) but indoors we are revelling in a warm fuzzy feeling brought on by produce from the limery and the generosity of friends. Put all the ingredients in a pan and simmer for 30 minutes. Allow to cool and then liquidise. 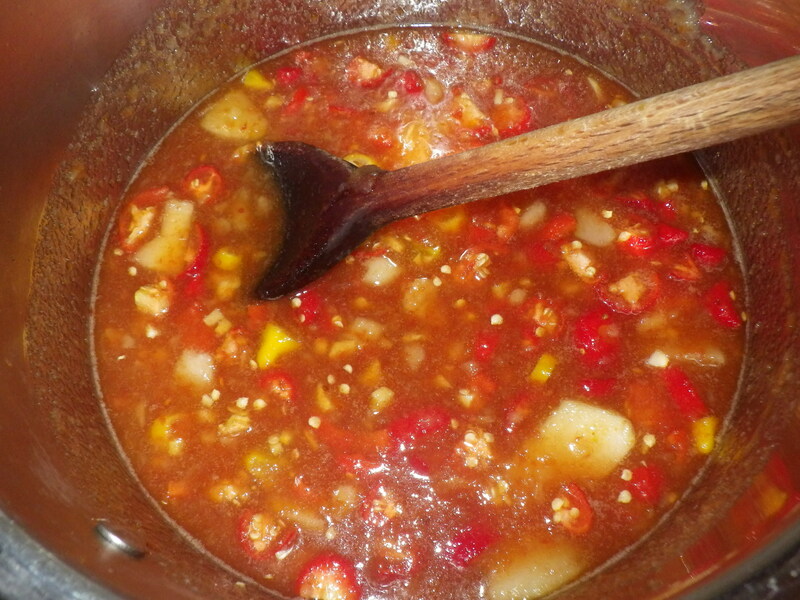 With my chillies, this produced about 1 litre of very hot , very sweet sauce. It provided a great accompaniment to smoked mackerel fishcakes last night and I think it could easily be used as an ingredient in a curry… you wouldn’t need much! 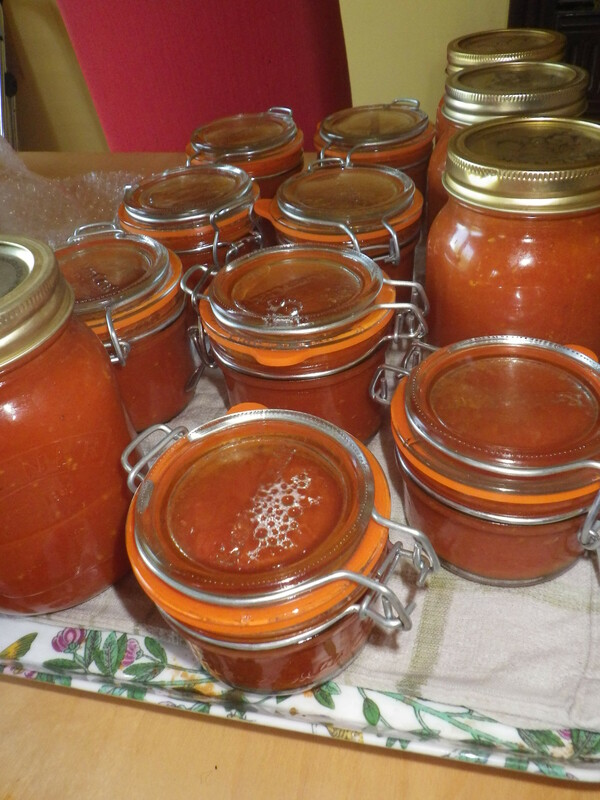 In normal years I make all my tomatoes into passata and guard it closely so that we can use it instead of commercial tinned tomatoes throughout the year. But this year is different. The huge numbers of tomatoes that I was able to buy cheaply last week mean that I can experiment with something different, namely.. ketchup. 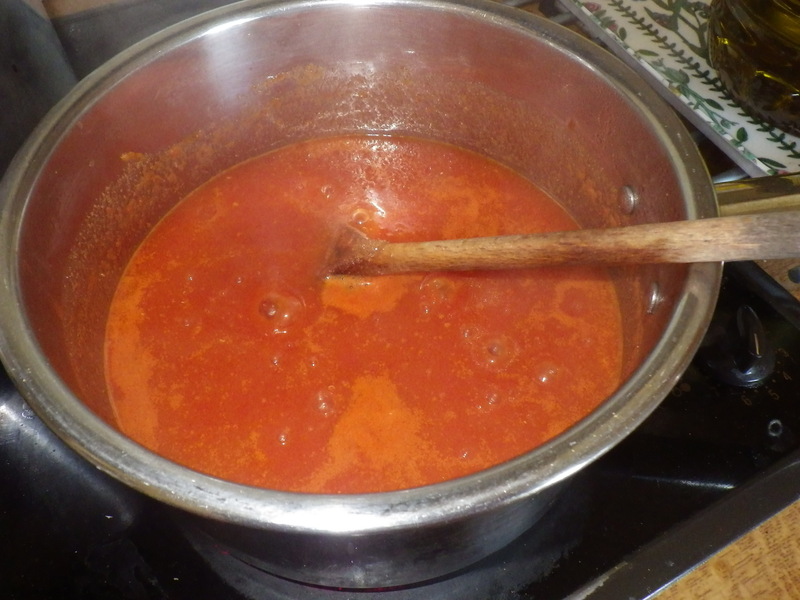 The recipe I wanted to try out (from River Cottage) starts with a litre of roasted tomato passata, which I already have after the weekend’s activity. To that you add cider vinegar, lemon juice, pepper and various spices, plus some demerara sugar. I looked at the list of spices and decided to modify it a bit, I did use the suggested mustard powder, ground ginger and freshly ground pepper, but I omitted celery salt (Mr Snail does not like celery) and ground cloves (they make me think of toothache) and instead added some hot paprika. Because of the vinegar, this concoction will apparently keep for a couple of months if you simply put it in a jar, but I want to be sure that my stored produce will last a good long time, so I decided to immerse the jars in a hot water bath for 20 minutes just to be sure. We do eat commercially-produced tomato ketchup and I will be very interested to see how this compares, because if we like it, that would be another processed food that I could cross off my list… and, in fact, there aren’t very many of them left that I still buy. I’m interested to know whether anyone else makes tomato ketchup and, if so, what spices you put in it. Three and a half days and almost all the preservation is done…. In fact, I got so involved with the process, I didn’t photograph all the stages. 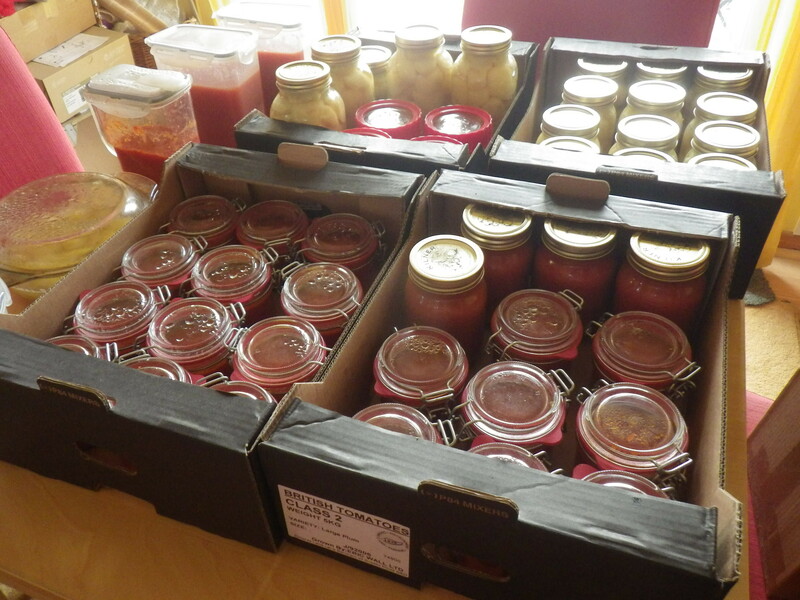 The tomatoes were all made into roast tomato passata, some for the freezer and some bottled (canned). The bottled ones were processed in a hot water bath, which is safe as long as they are acidic enough, otherwise they need to be pressure canned (the threshold is 4.6 and mine were well below at 3.9). 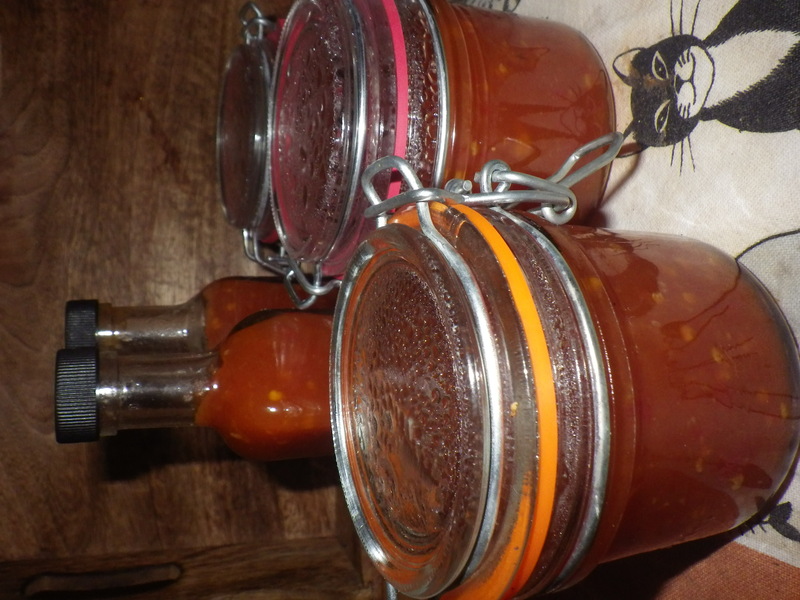 I’ve retained some of the passata to make into ketchup, but I need some more jars to store it and those should arrive later in the week, so for now I will freeze it so there is no chance of it going off. As for the peaches, those were peeled (they were so ripe the peel came off without immersion in boiling water) and the stones removed, before being poached in a light syrup and bottled. Again, they were processed in a hot water bath. The left over peel and stones are now fermenting naturally to make vinegar. So, the two processes produce hardly any waste and what is left over goes into the compost. It’s hard work, but well worth the effort – such a joy over the winter, plus the knowledge that I know exactly what has gone into the food that I’m eating and a reduction in packaging compared to buying tinned goods. Those of you who have been following the saga of the limery will be wondering what has happened. Well, I’m sorry to say, nothing. We still await the final sealed unit with which to glaze the door. Apparently the ‘conservatory’ bit (glass, ridge, sealant, mount for lights) will be finished on Monday and then all that will remain is the lighting. And I could no longer bear to keep all my plants outside, so now it is being used for growing. The capsicums seem to go on forever! Only three tomato plants this year – more in 2016! They’ll all have to come out if work happens on Monday, but the tomato plants at least seem to be thriving – I may even get a crop later in the summer. I like bottling, but it sure is a messy occupation. 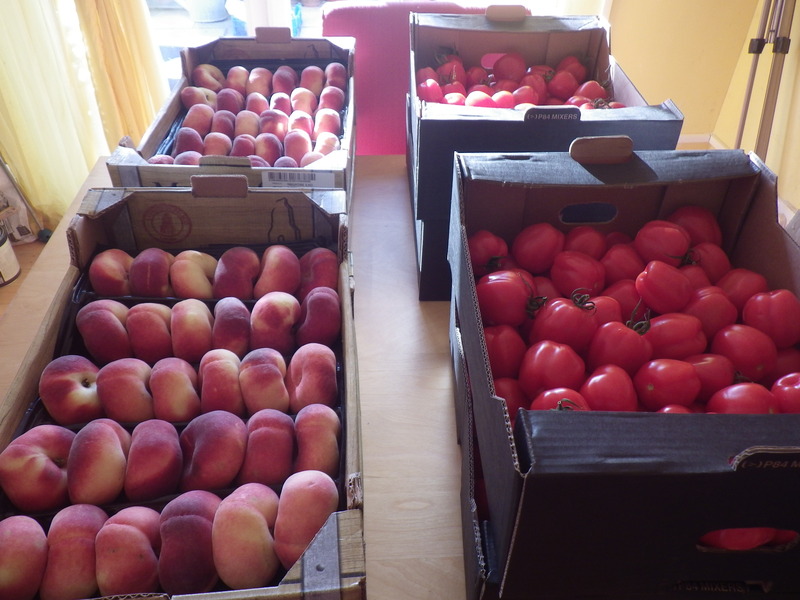 Today I have been busy with all those tomatoes that we bought at the weekend. Over the past two days they have been roasted and passed through my tomato mill, so that by this morning I had two big posts of puree just waiting to be bottled. It was at this point that I realised that my smallest preserving jars are half a litre (0.87 of an imperial pint or 1 US pint) which is fine, but there are times when that’s going to be too much for me (especially being on my own over the winter). 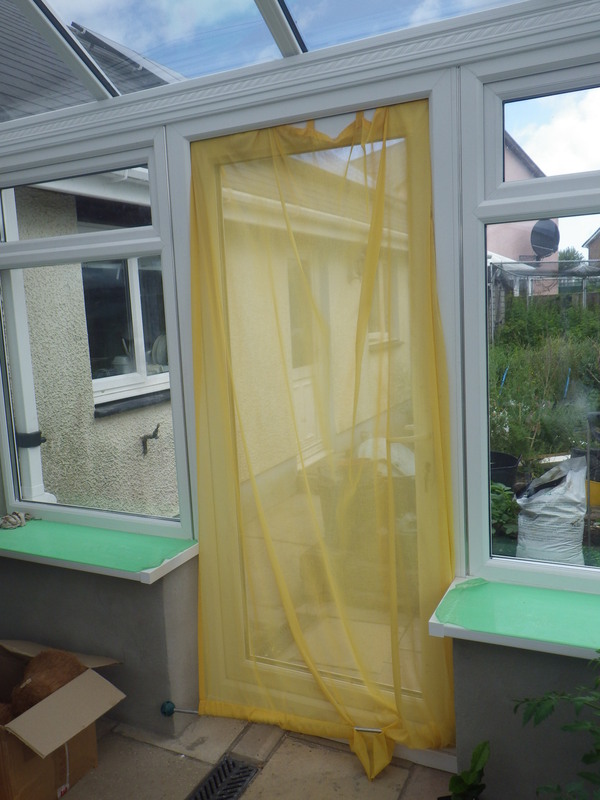 So, I took a trip to the fabulous hardware store in Lampeter, D.L. Williams. They do seem to sell pretty much everything for the home, including preserving jars. 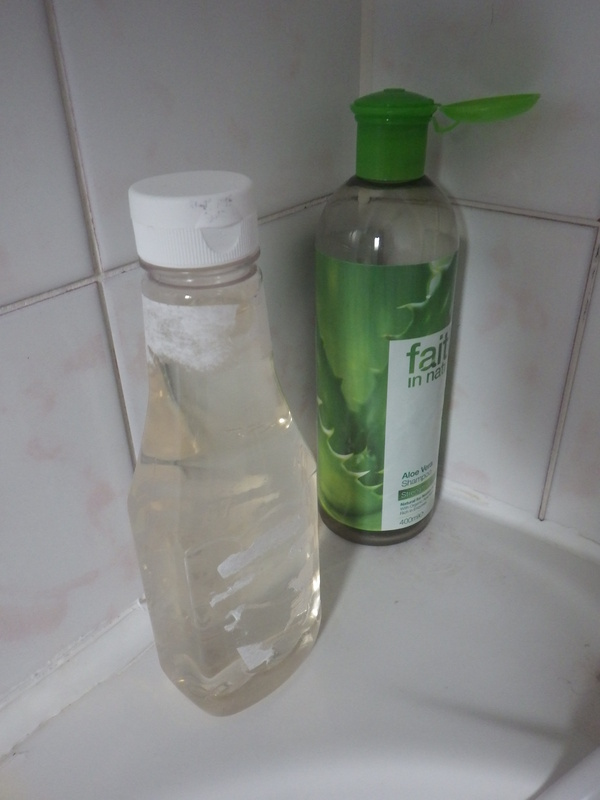 I bought all the ones that they had which were less than a litre – six 200 ml and two 125 ml. I would have liked more, but at least I now had a range of sizes to use. I just can’t manage not to spill! This afternoon has involved lots of bubbling tomato, water baths, preserving jars, and mess! I’ve got a big pile of washing up and still a few jars simmering away in water, but mostly I’m done. Tomorrow morning, when all the jars are cool, I will be able to test them to see if they have sealed properly. 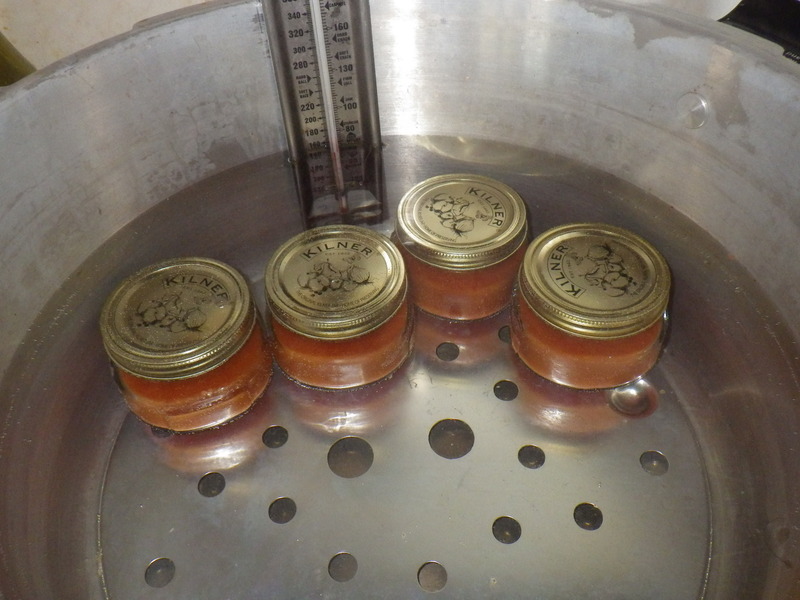 It’s looking promising since the metal tops have gone ‘pop’ on the big jars (a good sign that the seals have formed as they cool). 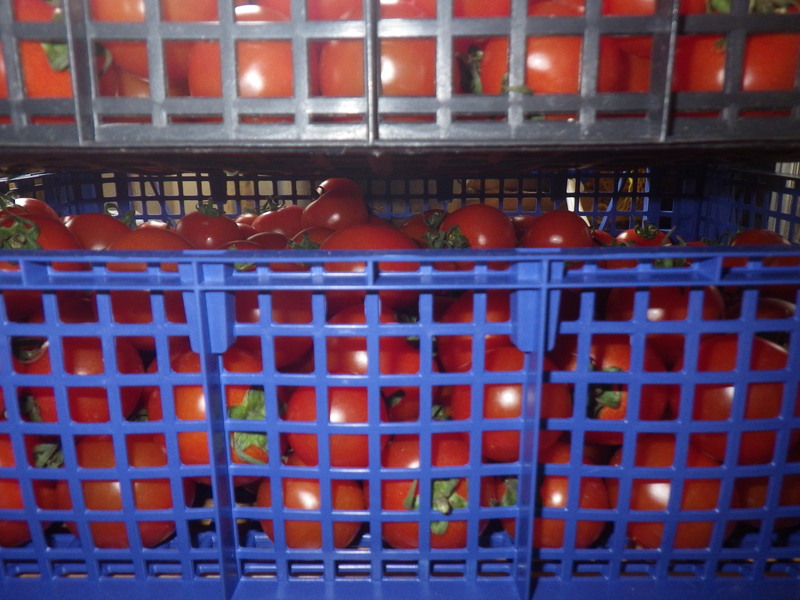 So, that’s another way to avoid wasteful packaging – hopefully combined with the frozen passata, all this work will mean we don’t need to buy any tinned tomatoes over the winter and all the tomatoes we eat will have been produced locally. We’ve had a busy day today – lots to fit in since Saturday is now the only full day in the week that Mr Snail is home. However, several of our activities have involved a zero-waste component. You may recognise the shape of the bottle in the foreground! I’m very happy with today’s contributions to Zero Waste Week. Most annual crop growing systems benefit from some sort of rotation, where you grow different crops in the beds from year to year so that you don’t get a build up of pathogens and a depletion of specific nutrients. Your rotation can last three or four years, and there is lots of information available on how to plan; for example the Royal Horticultural Society give a brief outline of both three- and four-year rotations here. 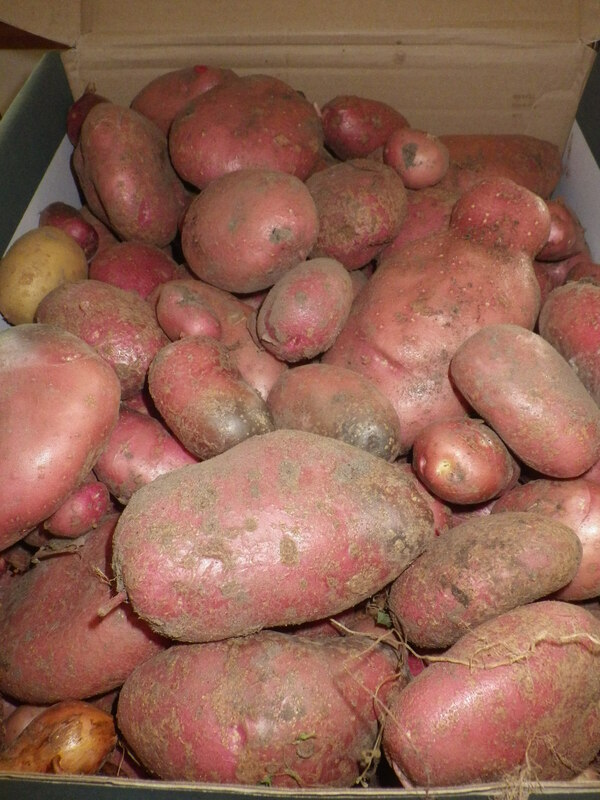 In practice, many vegetable gardeners either do not have the space to practice a rigorous rotation (for example not growing potatoes at all, or only growing them in containers) or simply can’t be bothered. 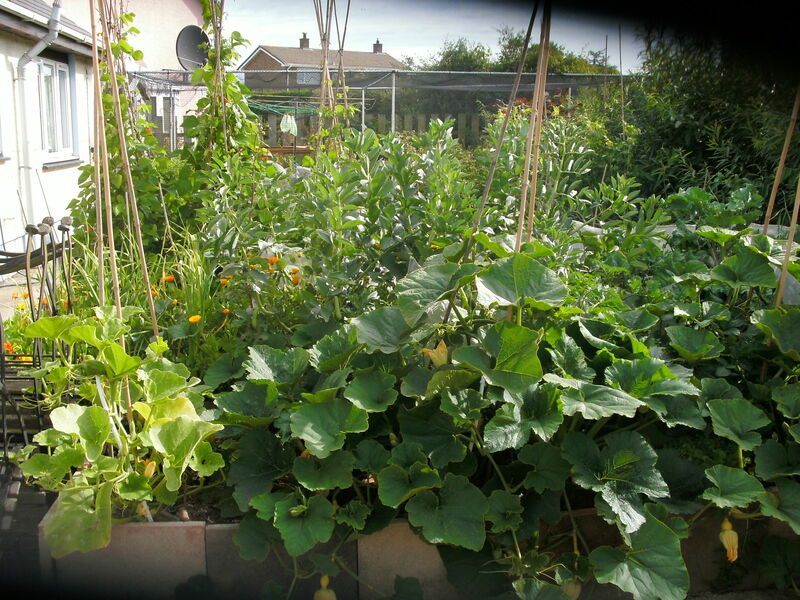 In my small garden, I could be strict with a four-bed rotation as I do have four raised beds. However, I’m not consistent with the crops that I grow, so sometimes I want more than a quarter of the space given over to one type of crop and sometimes less. Also, I like mixing crops in the same bed, which sort of puts a spanner in the works. And anyway, I’m just too disorganised. I like to be creative and spontaneous, so basically I plant what I feel like where I feel like with the proviso that I don’t plant either onions or potatoes in the same place two years running. In fact I try out new crops each year and some of the less conventional ones (like Aztec broccoli or oca) almost certainly have fewer diseases than the standard offerings and different nutrient demands. I do try to move my beans around each year because (a) they always get a healthy dose of compost dug into their bed before planting and (b) they are nitrogen-fixers, so should help boost the fertility of the place they have been. In addition, in my garden, I do lots of container growing. I make use of loads of home-made compost for this purpose and, of course, it doesn’t just get used once.You can’t, however, plan a rotation for your pots in the same way as for land. Last year I used lots of my fresh compost for potato-growing in dumpy bags. After I harvested the potatoes, I left the compost in the bags, but folded the tops down to protect it. I don’t want to grow potatoes in the same compost this year, so that has been transferred into some big pots for growing mangetout up the fence. 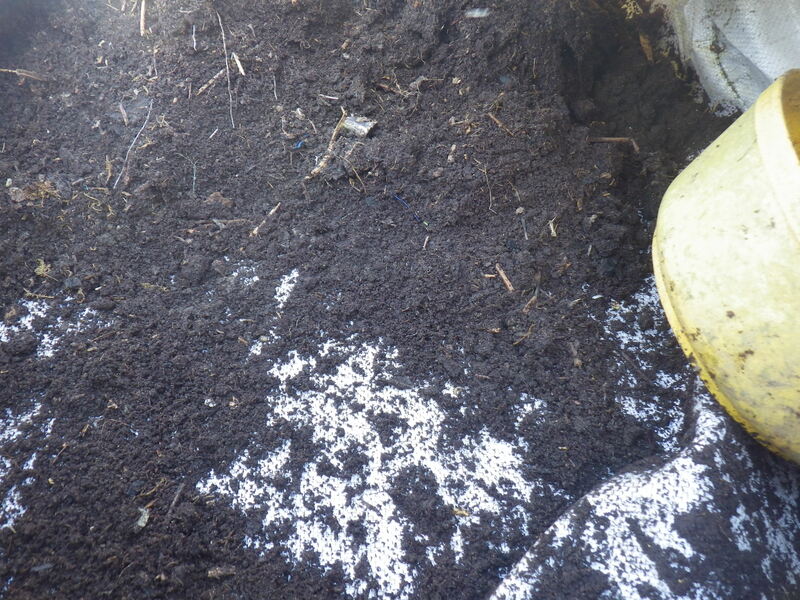 Compost that has had tomatoes or peppers growing in it usually gets transferred into a bed that will be used for squashes. Because tomatoes and potatoes both get blight, I try to avoid transfer of spores in compost so don’t use compost from tomato pots in potato beds. It all sounds quite complicated, but actually, I don’t have any difficulty remembering what I grew where (especially since I always take lots of photos) and deciding where to plant. I’m sure there are some of you out there who love an organised rotation, but you are clearly not scatty like me! 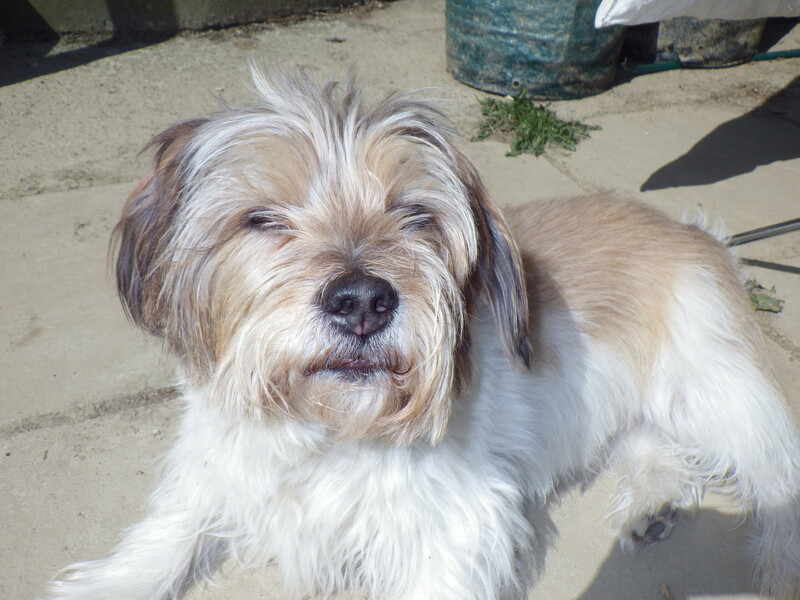 And while we moved compost today, Max enjoyed the sunshine!